After earning a degree in commerce, marketing, and management, Tarek Boudhir, a 23-year-old from El Jadida, Morocco, struggled to find a job—let alone one that met his qualifications. Youth unemployment is a major challenge in Morocco—where young men and women represent roughly half of the working age population, yet four out of five are out of work. North Africa has one of the highest rates of youth unemployment in the world, making this endemic problem not only an issue in Morocco, but also a regional and international concern because of the myriad of issues linked to it, including: generational poverty, crime, violence, and human rights and security issues. To make matters worse, due to the lack of job opportunities and an oversaturated market, education and skills are often no longer enough to get a decent job. 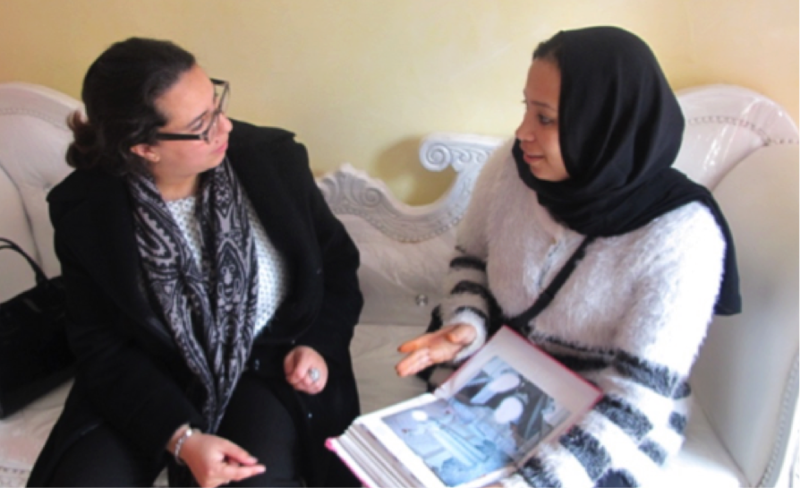 To address these struggles the Near East Foundation (NEF) is helping to develop innovative alternatives to create financial stability among driven young Moroccans. NEF, in partnership with the U.S. Department of State’s Middle East Partnership Initiative (MEPI), is implementing the Empowering Youth through Entrepreneurship in Morocco (EYEM) program to give young Moroccans the tools they need to turn their ideas into viable businesses through training in entrepreneurship, business incubator support, and start-up capital. Boudhir had always dreamed of owning and operating a large farm. He strongly believes that young Moroccans should not solely depend on government job opportunities, but instead do what they can to create a business—and future—of their own. Eager to refine his skills and access the resources he needed to develop and launch his business, Boudhir applied to participate in the EYEM program. “I heard about NEF’s initiative from a friend of mine, then immediately applied for it because I was in need of support to make my dream come true,” Boudhir said. Small businesses play a central role in Morocco’s economy; however, youth face a number of challenges developing their businesses, including: the absence of a strong entrepreneurial culture, limited or no access to credit, and a lack of personalized coaching and support. The EYEM program helps participants to overcome these challenges and to create an environment that supports youth entrepreneurs. In the first phase of the EYEM program, Boudhir was taught the basics—what types of business models existed, the steps needed to set up a business, and how to develop a business strategy by analyzing the current market. Boudhir took what he learned and applied it to developing his business plan. The next phase of training focused on how Boudhir could develop and manage his business. After excelling in the program, Boudhir presented his improved business plan and was awarded with a grant of 20,000 DH (2,050 USD) to help him launch his business plan. “I knew that I could benefit from the trainings as well as the grant. I had some money saved, but I was sure it wouldn’t be enough to launch my business,” Boudhir explained. 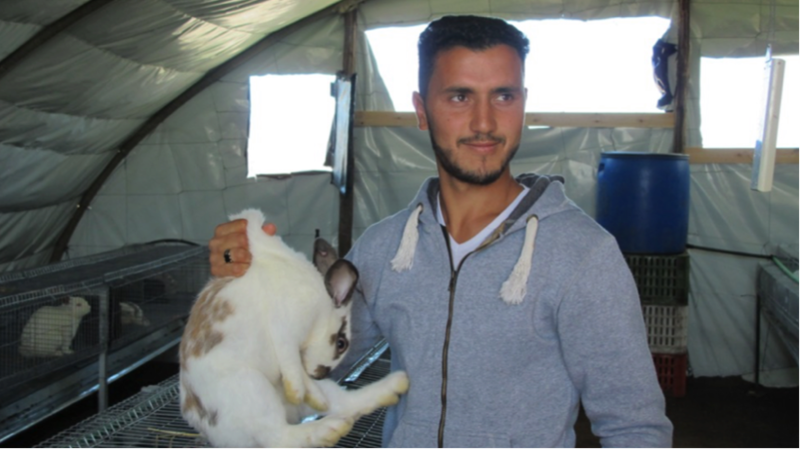 Boudhir’s rabbit business is well on its way to being a success. He estimates that he will sell more than 180 rabbits in the first two months, making a profit of 10,800 DH (1,116 USD). In the coming year, Boudhir plans to further develop his business by expanding his farm so that he can raise 500 female and 50 male rabbits. Many other young men and women have seen success after enrolling in NEF’s program. Ilham Tabine is a 26-year-old from El Jadida. With support from NEF’s project, she launched a business selling ready-made clothes for women. She is applying her management and sales experience to promote the shop’s success. Rabiaa Benfarji, a 30-year-old woman from El Jadida, opened a hairdressing and cosmetics salon with the support of the EYEM project. 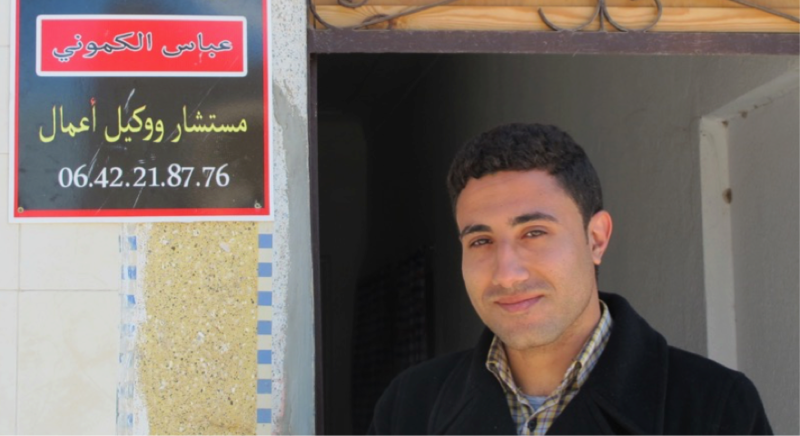 Abass Kamouni, a 23-year-old from El Jadida launched a firm to provide administrative assistance, legal guidance, and editing services. And Asmaa Razouq, a 32-year-old from Safi, opened a clothing shop—Asmaa Clothes. Through the project she learned how to manage her bookkeeping, work with wholesalers, market her products, and attract new clients. “It’s really a very exciting challenge for me to be an independent woman with my own business. Having customers and dealing with wholesalers makes me more confident,” Razouq said. Another component of the EYEM project involves training and certifying young men and women as junior coaches. As a part of the certification, the junior coaches co-lead sessions with professional trainers to further develop their skills. They then take what they learn to train their peers in entrepreneurship and provide coaching at business incubators. With the communication and entrepreneurship skills gained through his participation in the project, El Bouazzi hopes to open his own consulting organization to provide training and coaching to other young and ambitious entrepreneurs in Morocco. To date, the EYEM project has trained 486 youth in microenterprise development, helped 348 youth to develop professional business plans, and launched nearly 250 businesses. For more information on NEF’s work in Morocco, click here.